NMSU extends their conference win streak to six with back-to-back shutout wins over CSU Bakersfield Saturday night. 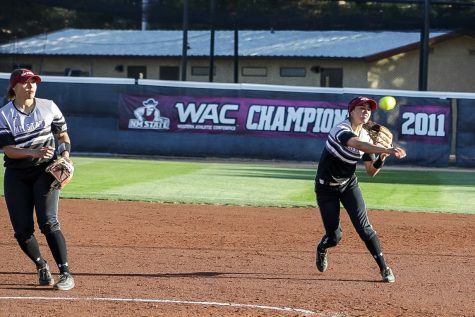 New Mexico State played their best softball of the season in Saturday’s doubleheader against CSU Bakersfield, dominating the Roadrunners in just about every facet of the game and preserving their perfect conference record. 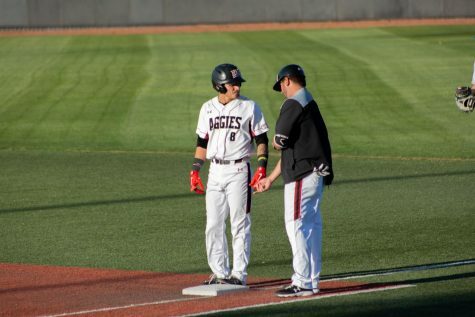 The Aggies gave up zero runs on Saturday — winning 8-0 (in five innings) and 5-0 respectively — while completing the series sweep in which they only gave up two total runs. 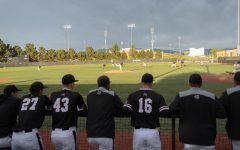 This was a stark difference from their defensive showing last Tuesday against UNM, where they gave up 13 runs on 14 hits. 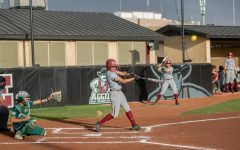 Analise De La Roca and Samaria Diaz did the bulk of the work from the mound for the Aggies in their shutout wins, pitching a combined nine of the 12 innings played, with Mikayla Bongi closing the early game and Kayla Green capping off game two. 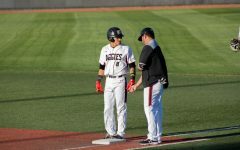 The two shutouts on in Saturday’s doubleheader mark the NMSU’s fifth and sixth shutout of the season, and fourth in their last eight contests. 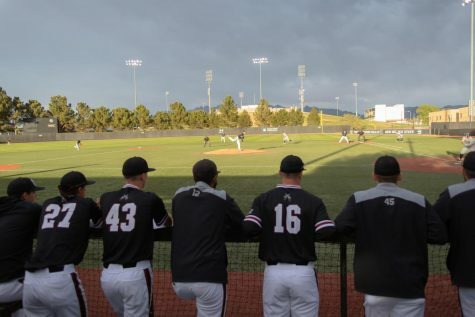 In order to win, though, runs must be scored, and while there wasn’t an onslaught of hits, the Aggies got the job done from the plate. 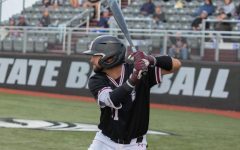 NMSU (21-15, 6-0 WAC) only managed 11 hits in both games of the doubleheader combined, including meek four hit showing in the late game, but a lot of that was the Aggies taking what they were given, with seven batters getting walked (and two runners getting walked in to score) during the 5-0 win. The opening game of the day was definitely more exciting from an offensive standpoint. 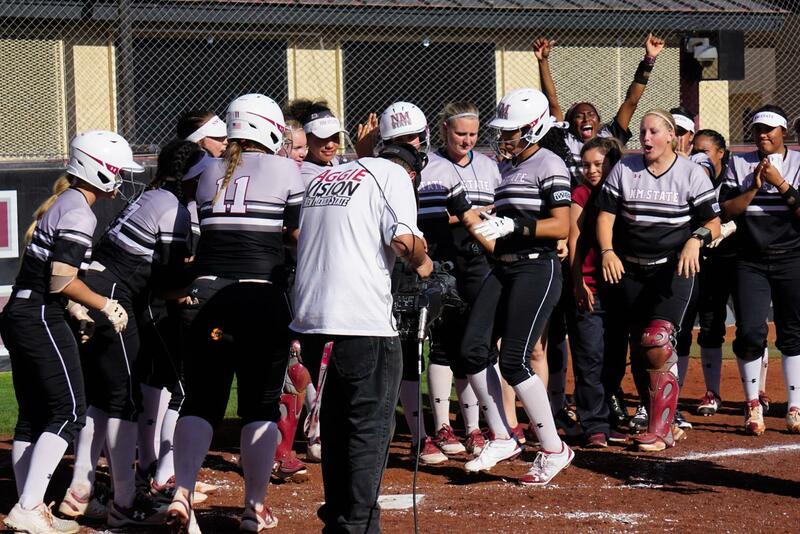 Kelsey Horton started things off with a solo shot home run in the first inning, setting the tone for what the day was going to be like for the Roadrunners. The Aggies went off in the third, with multiple runs coming in on wild pitches and Victoria Castro hitting a homer of her own, but Horton finished things off, going yard for the second time of the game in the fourth, effectively forcing the run-rule to be applied after CSUB’s scoreless fifth. 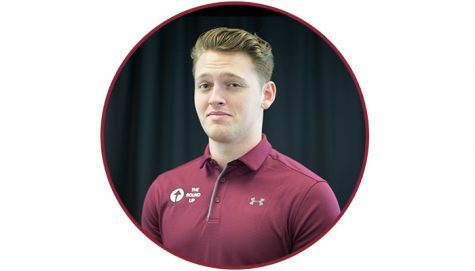 Rodolph is confident in her squad after a real bounce-back performance this weekend, which is going to be huge Aggies, who are set to face a tough test next weekend when they travel to Phoenix to take on pre-season WAC favorite, GCU.